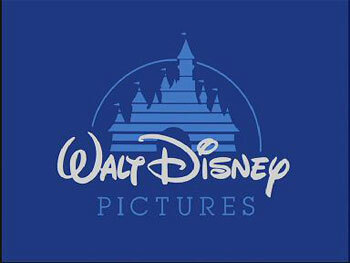 The Walt Disney Company (commonly referred to as Disney) is the largest media group in the world. Founded in 1923 by Walt Disney and his younger brother, starting with making short animated productions, into larger films, live-action films and eventually everything else. They started out with making shorts featuring Oswald the Lucky Rabbit, but only after twenty-six were made Oswald was basically stolen from Walt Disney and Ub Iwerks, who were left to run the company themselves. Needing a new mascot, they made Mickey Mouse, who was the star of the first ever animation to feature synchronised sound, Steamboat Willie. Soon after the Silly Symphony cartoons followed. In 1934 they decided to go one step further and create their first full-length film, Snow White and The Seven Dwarfs. Everybody predicted failure and told them to stop before it was too late. It became the highest grossing movie of all time, until Gone with the Wind took the crown 2 years later, and won eight (admittedly honorary) Oscars. With the success of Snow White the company could expand and create the films from the forties such as Dumbo and Bambi. Due to the second world war movie-making was slow, meaning films that were in production from before the war didn't get released until afterwards (such as Alice in Wonderland. This era was the busiest for Disney, releasing five or six pieces every year - many eventually becoming classics. The first Disneyland was opened in 1955. In 1966 Walt Disney died and his brother, Roy, became CEO of the company and renamed Disney World "Walt Disney World". The last films Walt Disney worked on, The Jungle Book and The Happiest Millionaire in 1967. In the years after that, the company continued with its creative momentum gradually draining with the more ambitious members of the management frustrated by the constant overhang of "What would Walt do?" Through the 1970s, the obvious answer to that of emulating Walt's penchant for taking big budgeted creative dares was not one of them as the company's live action films became largely a bunch of family safe comedies and sequels to their one really successful post-Walt film The Love Bug. The animation department was no better off with sporadic films punctuated by endless rereleases of their older films on a regular schedule even while the graduates of Walt Disney's CalArts school came on board like John Lasseter and Tim Burton. Furthermore, while the studio was able to advance such as improving the xerography processing in animation to finally get rid of the scratchy outline visuals in The Rescuers, more ambitious animators, especially Don Bluth, finally had enough feeling creatively stifled by the early 1980s and walked. When the senior management finally fell to Walt's son in law, Ron Miller in that same period, the company was its nadir with only the theme parks being consistently profitable. To his credit, he did make some positive moves like taking a chance with innovative films like Tron and planned to create more adult oriented film through the new branch, Touchstone Pictures. However, these efforts weren't enough and few Board of Directors dissenters like Roy Disney Jr. decided to take action. In a board room coup, Miller was ousted and Michael Eisner, Jeffery Katzenberg and Frank Wells (predominately from Paramount) took over. In its ten years of existence, this management trio revived the company with inexpensive but well received adult fare like the comedy films with relatively faded stars at the time like Nick Nolte and Bette Midler. The trio's faith in Disney's Animation proved a dicier proposition with the department's one grandfather feature film project, The Black Cauldron proved a major flop. However, the much cheaper and more successful subsequent film, The Great Mouse Detective in 1986 convinced the trio to give the animators a chance. This paid off handsomely as the expensive later film, Who Framed Roger Rabbit? proved a sensation 1988 and The Little Mermaid in 1989 set off the Disney Renaissance with a series of spectacular blockbusters that brought the company more money and prestige than they ever dreamed. Meanwhile, the company made their own waves on TV with a new commitment to TV animation with superb big budget animated shows like Adventures of the Gummi Bears, DuckTales (1987) and Gargoyles dramatically raising the bar of what TV animation could be. Unfortunately, the trio fell apart when Frank Wells was killed in a skiing helicopter accident and the moderator to Eisner's ego was removed. This led to infighting with Jeffery Katzenberg who eventually left to form DreamWorks and Eisner assumed more control with the company declining with his increasingly inept hands. At the same time, the contracted computer animation house, Pixar, transformed feature animation with its largely astoundingly series of smash hit animated features while Disney's in house cel- animated films were increasingly overshadowed. Even worse for Disney, the new field of computer animation allowed competitors to finally sidestep the All Animation Is Disney public prejudice and allowed new competitors to get their own piece of the pie, most notably Dreamworks Animation. Eventually, Roy Jr. and others had enough with Eisner's escalating business blunders, including alienating Steve Jobs and his Pixar studio. To fix that, they ousted Eisner, bought Pixar and placed Robert Iger in charge. Over the years, Disney has acquired various other companies to join its mass media productions such as Miramax Films (in 1993), DiC Entertainment (in 1995), ABC in 1996 (which included ESPN), Pixar in 2006 (before they were merely the publishers of their films), Marvel Comics in 2009 and Lucasfilm in 2012. Of those, the first two would be sold away again (Miramax was sold to investors in 2010, and DiC was sold back to Andy Heyward in 2000). See: Noteworthy Disney Staff, Disney's Nine Old Men and Walt Disney. Alice Comedies: Some of his earliest work. Classic Disney Shorts for the short animated films that started it all. Miscellaneous Disney Shorts: For shorts that aren't part of a recurring series. The Disney Animated Canon and Pixar for Disney feature films. Walt Disney Animation Units for animation studios outside of Pixar. Disney Theme Parks for the parks Disney built worldwide. This page was last edited on 30 March 2018, at 01:30.